The BCS “Blade Runner” Flail Mower is the heaviest-duty mowing attachment in the BCS fleet. 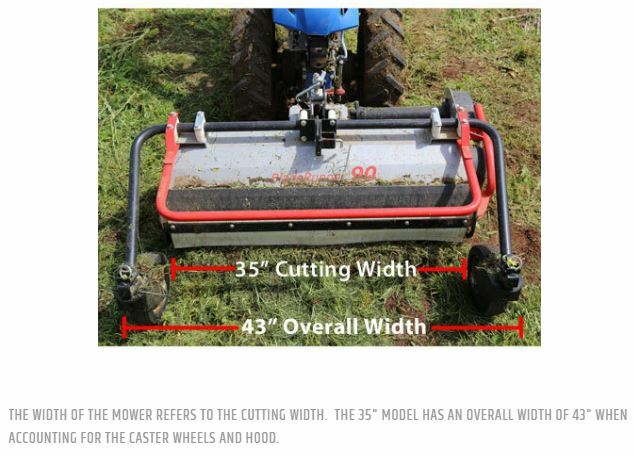 The flail mower has vertically rotating ‘Y’ blades that pulverize plant material into a fine pulp that is evenly spread across the mowing width. 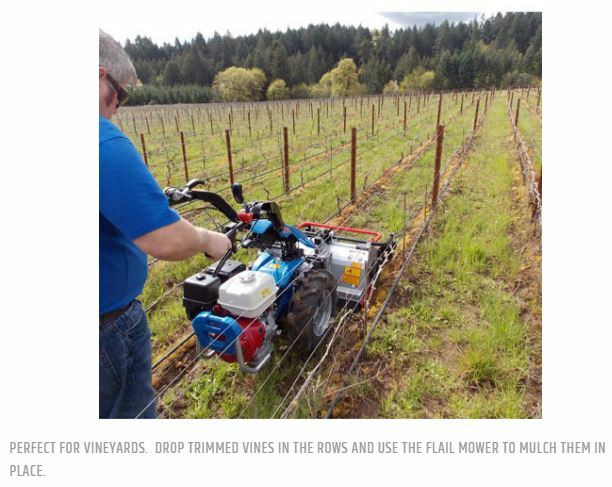 The flail mower also serves as a self-propelled shredder; capable of reducing material that lays on the ground, to a small particle size for quick decomposition. The Blade Runner’s front bulkhead is designed for lifting itself depending on the flow of material to be worked, which can be thick brush, vines and saplings. Like the brush mower, it can mow anything it can bend, including saplings. 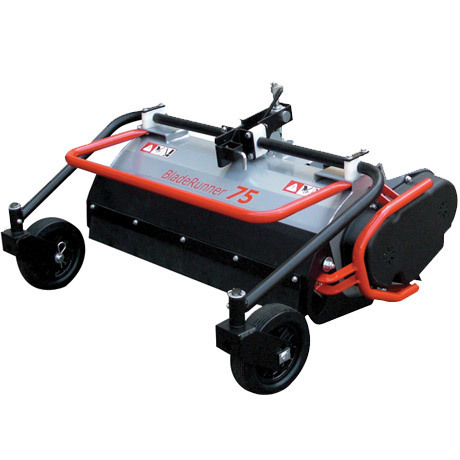 A convenient control handle sets the cutting height from ½” to 4”, and retractable caster wheels allow for easier handling and transport. 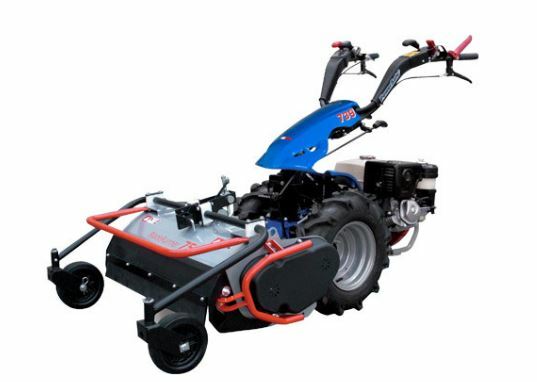 The Blade Runner Flail Mower has side-mounted skids made of boron steel. 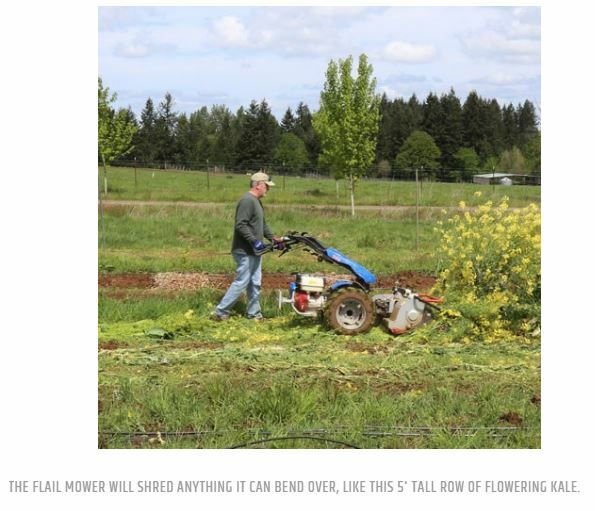 Also compare to the 30 inch Rollerblade Flail Mower, designed especially for market gardeners. 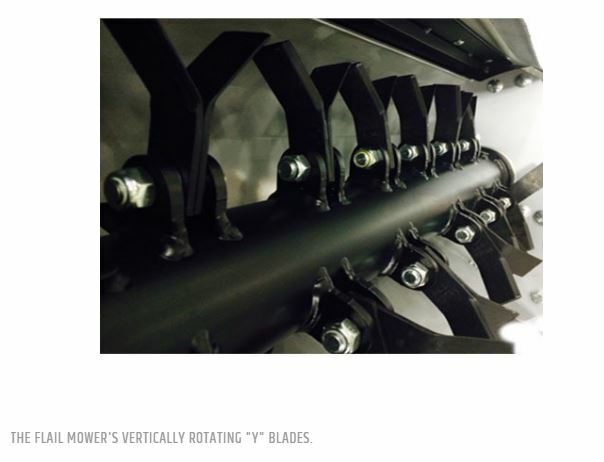 Dozens of vertically swinging ‘Y’ blades. 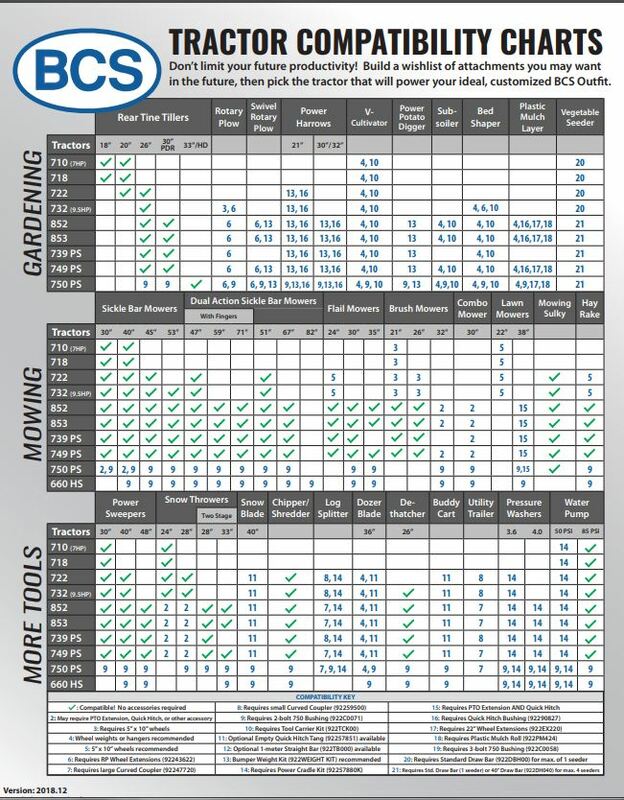 Convenient control handle to set cutting height from 1/2″ to 4″. Optional anti-skid rollers and lawn mower “scoop” blades available.